Relying on clicks to drive conversions for display advertising is often a dead end. 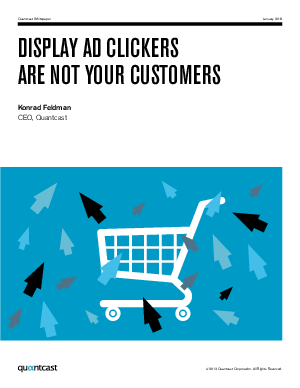 Consumers most likely to click on display ads are often vastly different from your best-performing customers. Read why optimizing display campaigns for clicks often means anti-optimizing for sales and how to focus on what really matters for ad effectiveness.